Glow in the dark silicone wristbands are the perfect product to be used at night. Being the top choice for party promoters, festival and event organizers, this bracelet is not only a promotional product but an attractive party accessory that will without a doubt create an atmosphere at your party! 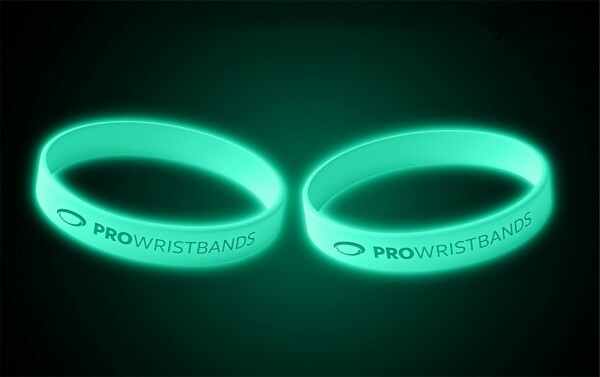 We strongly suggest choosing the glow in the dark effect on only bright colours since the darker the colour is the less effective the glow in the dark effect will be. 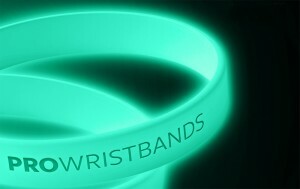 Glow in the dark effect can be applied to printed, debossed, embossed, 1 inch and dual layer bracelets. 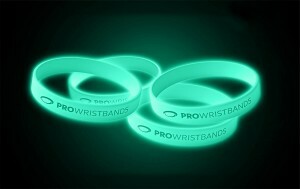 Organizing an event - why don't you get in touch? ► Choose bright colours to achieve the best glow in the dark effect.